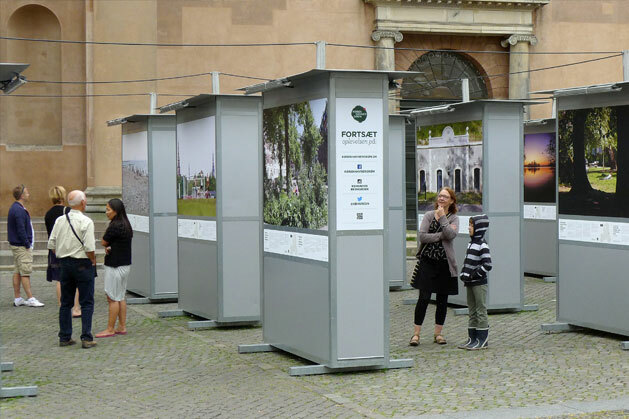 With generous support from Nordeafonden, Copenhagen Green exhibition was at display during Summer 2014 at Nytorv and at Højbro Square. COPENHAGEN GREEN Exhibition is like the guide for anyone who wants to explore the unique spaces in the Danish capital and discover small and intimate local secrets, or the vast open spaces such as the wildlife reserve on the island of Amager or the harbour baths, parks and public gardens. COPENHAGEN GREEN features 100 places in and around the capital in beautiful and original photographs. The outdoor exhibition by Højbro Plads (halfway down the main pedestrian street ‘Strøget’ and opposite the Parliament) was open 24 hours with free admission from August 18 – October 30 2014.